Advanced IPv6 carries on where the Technical IPv6 course leaves off. The advanced course is aimed at people who have a good understanding of IPv6 (such as that delivered by the Technical IPv6 course), but are looking for a more detailed, deeper understanding of some of the subtleties. Topics covered in the Advanced IPv6 course include more on IPv6 security, more on address planning, a detailed look at some of the more complex transition technologies, and routing using IPv6. The course is two days long, and is usually done immediately after the Technical IPv6 course. The course includes refreshments, meals, bound notes for attendees to take home, and several practical exercises. 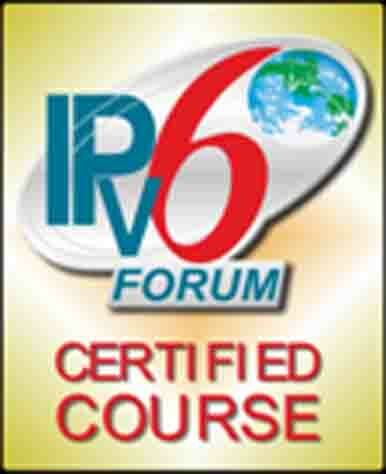 The Advanced IPv6 course is usually delivered at one of our training venues, but can be delivered on-site if desired. A suitable networked computer lab is needed, with Internet access, and with a data projector and projection surface. Advanced IPv6 training – call or email us today.